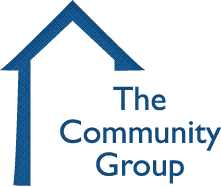 The Community Group is located at the corner of Bradford Street and Hampshire Street (the Olde Library Building) across from St. Mary's Church. Parking is available on the Bradford Street side of the building. Enter the building on the Bradford Street side. Reception is on the second floor.